Enjoying Barcelona in a few days can be tiring but it is certainly worthwhile. My accommodation in Martha´s Guesthouse is located in Gothic Quarter near Las Ramblas. After picking up the house key in the early morning, I went to explore the Barcelona nightlife, discovering Pipa Club. The place is set in a discreet third floor flat in Real Square. Pipa Club is small and has three rooms: a living room to watch live music and socialize; a small room where drinks are served; and a game room with billiards. The flat´s decoration is all about smoking pipes and distinguishes itself through its elegant hardwoods. Pipa Club is cosmopolitan and open until 3 am. 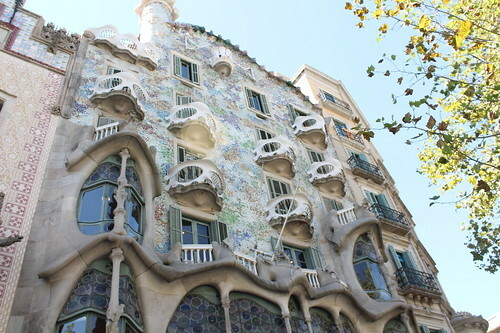 In the same street, you will find Batlló House, another building that Dalí turned into an architectonic masterpiece of forms, colours and lights. Walking every corner of the house transports you to a new world with impossible creations and designs that are still modern at present day. The interior patios with different shades of blue create a set of spectacular lights with daylight. The roof features chimneys with dragon form and the water fountain room. Back at the bus, I enjoy visiting Barcelona port, the beach and its sports complex from the Olympic Games in 1992. I stop at Park Güell, where I explore this park that can take you a few hours to cover its main points of interest. At the entrance you notice long step stairs with a dragon in the middle symbolizing Barcelona. The stair takes you to the Hipólita room which contains 84 Doric columns and displays mosaics in its ceiling. In the center of the park, there is a large esplanade with a large long bench at the front that includes figures of animals. There, tourist can observe all the street layout of Barcelona and look out over the sea. On the East side of the park, do not miss Pórtico de la Lavandera, an original iron door with a wave form over inclined columns. After walking this path I go back to the large esplanade to view Barcelona´s sunset from this iconic park designed by Gaudí. The following day, I explore the Labyrinth Park of Horta on the North side of the city. The park has nine hectares including the Romantic Garden and the Neoclassic Garden. Labyrinth Park is quiet and peaceful as there are not many tourists due to its remote location. At the center, there is a labyrinth where you can get lost trying to find the exit (it can take 30 minutes easily). Sculptures, ponds and columns are the main themes of this beautiful park. In the afternoon, I stroll around from Cataluña square to Las Ramblas. At the back, I find San Felipe Neri, a very small square with a lot of charm and tragedy because its church was bombed during the Spanish civil war and shrapnel can be seen at its facade. In the center of the square is an octagonal fountain. Passing Bisbe Street there is a Gothic small bridge facade with a Gargola. 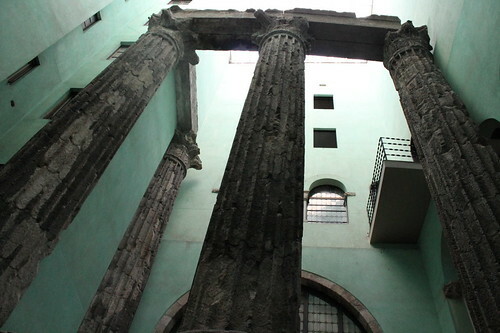 If you carry on your way, you reach the Augustus Temple, which displays in its patio four Romans columns. During the night I choose to check out the Magic Fountain, a show of mixed colours, music and lights that is placed near España Square. There you see a lot of tourists enjoying this unique and amazing spectacle that overwhelms your feelings and emotions. In my last day I enjoy a ride in a hot air balloon outside of Barcelona. The experience is incredible, as from the balloon you can see as far as Barcelona, the Pyrenees, Motmeló GP and all the nature at your feet. Back in Barcelona, I hop on a cable way to reach fortress Montjuic and avoid a long walk through the hill. The fortress dates from 1640 and what I find more interesting are its sea views and gardens at the entrance. 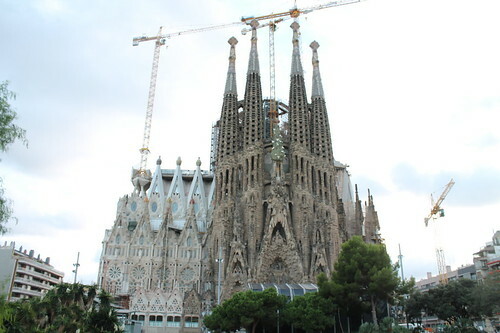 My trip ends at Sagrada Familia which is still being renovated until 2026. Gaudí had the idea that this building shall be seen from any point in Barcelona. That explains its 18 towers with a 100 meter average in height. The 3 facades of this architectural gem focus on the topics of birth, glory and passion. On the inside, Sagrada Familia features a Latin cross form, 36 columns and many religious motives. In the crypt, you can visit Antonio Gaudí´s tomb. It is worth to sit in the park at the front of the port of Sagrada Familia and watch the pond reflect its shape.